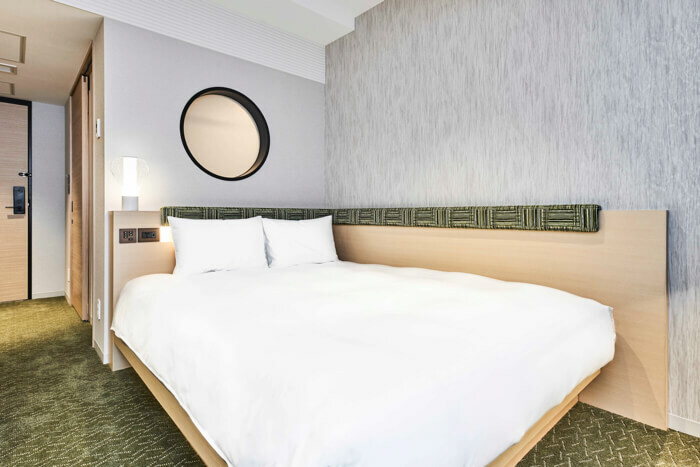 Ryumeikan, a hotel and restaurant business that first established in 1899, opened its new tea-themed boutique hotel in the Toranomon area of Shimbashi on December 1, 2018. 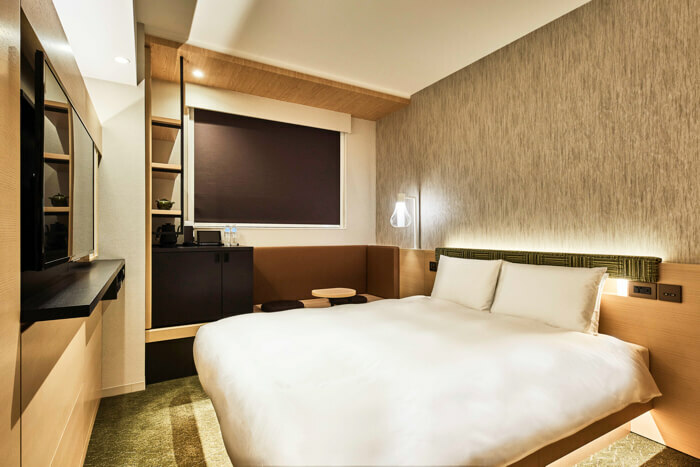 The hotel boasts a favourable location being close to a string of popular tourist hot spots including Ginza, Roppongi and Marunouchi. 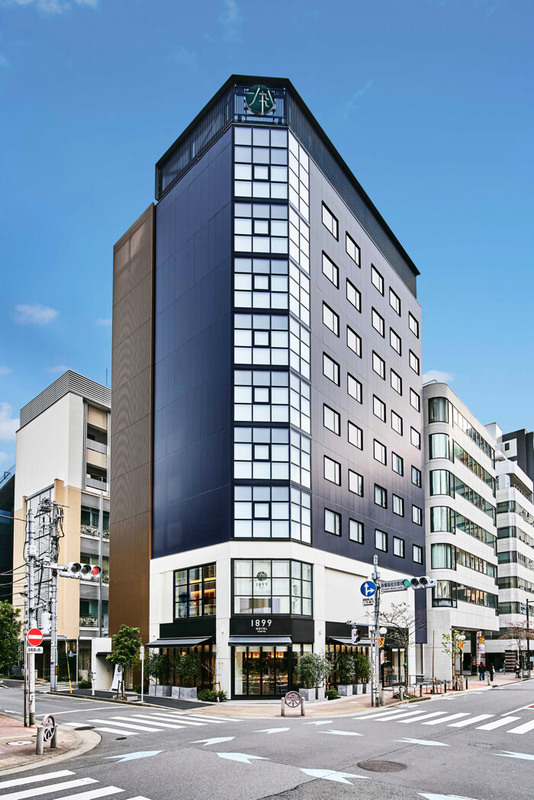 It’s also very accessible being only 20 minutes from Haneda Airport by taxi and within walking distance from four stations that run JR and Tokyo Metro lines. There are four types of unique designer rooms to choose from that are made in the image of a Japanese tea house. Room types include a double room for two people and twin rooms only. The 35 rooms are all fitted with bench sofas that likens to an engawa, a porch-like area found around the outside of old-style Japanese houses. 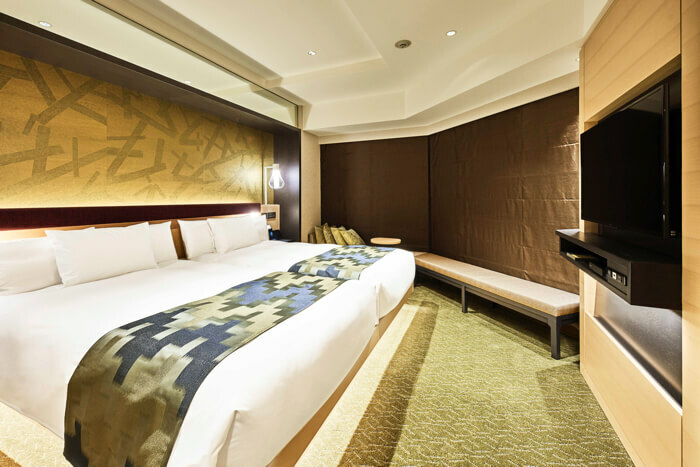 In seven of the rooms the inner half of the flooring next to the bed is raised which also evokes that engawa essence. There’s also a sink next to the bed which blends with the interior design. 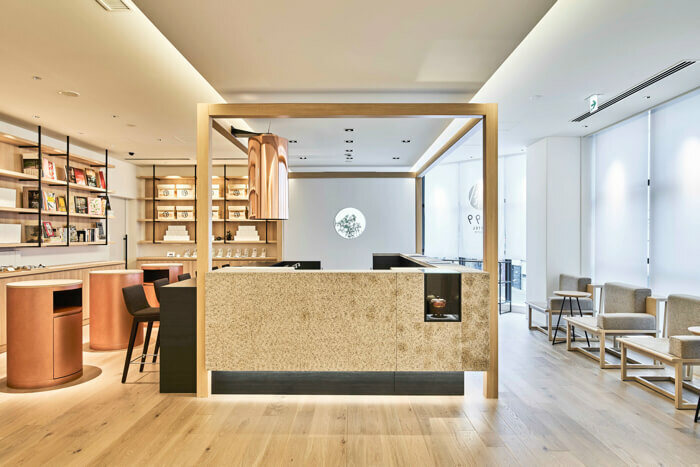 The front desk is also inspired by Japanese tea houses. The hotel’s tea experts can pour Japanese tea for you and will even make it how you like it if you give the word. Amenities in the hotel are of course also tea-themed. The shampoo and body soap are hotel originals and have green tea in them. 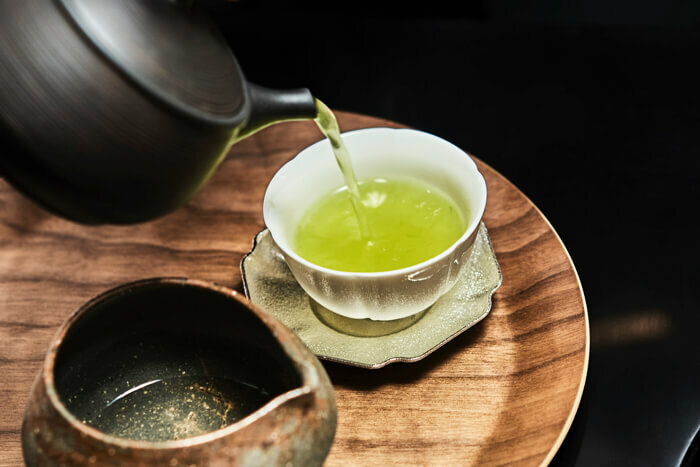 Teapots and teacups are also prepared for guests with which they are given a selection of four different tea types: sencha, gyokuro, wakoucha and bancha. Of these four types there are ten varieties that are changed daily, and all of them are of the 1899 brand. All the bed mattresses in the rooms are from the Japanese bedding company Air Weave. 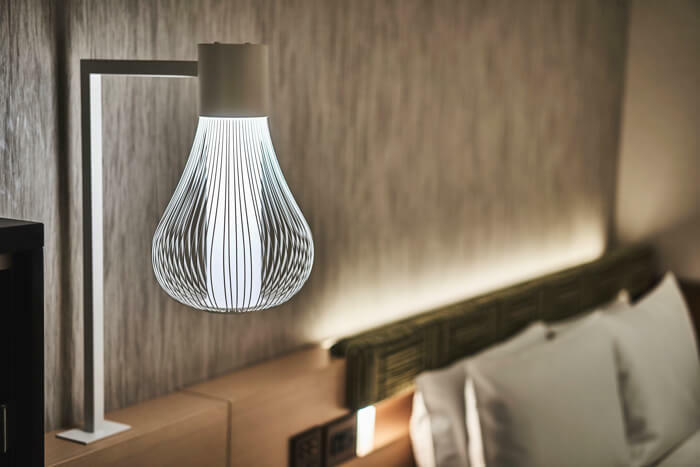 Next to the beds are lamps that are made to look like a chasen, a type of whisk used for making tea. They come with a button so you can set the lighting to how you want it. 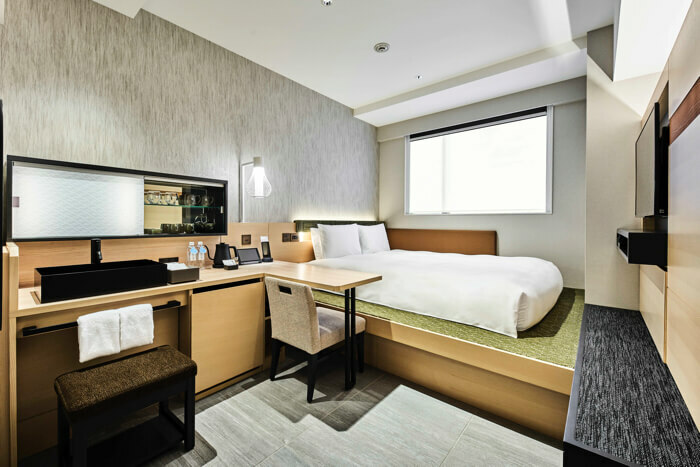 The hotel is decked out with all the latest facilities including free Wi-Fi, free use of Handy with which you can make free calls inside and outside Japan, and more. Guest rooms even have tablets in them. 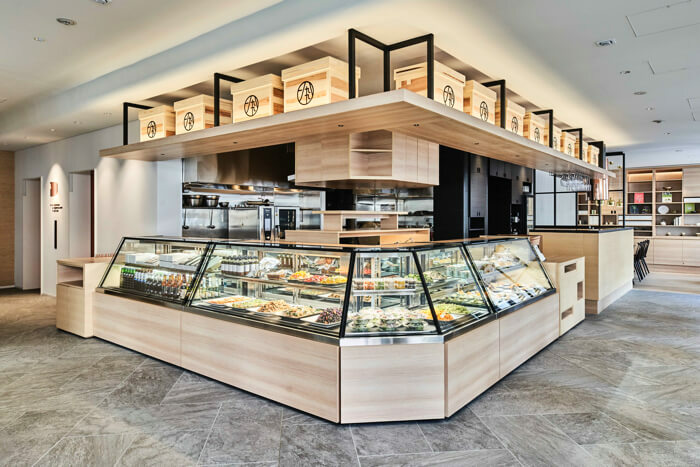 On the first floor you’ll find DELI&BAR 1889 Tokyo, a restaurant and delicatessen serving tea, tea flavoured meals and tea flavoured sweets. The restaurant is initially open for guests only where they can enjoy a free buffet style breakfast. The restaurant’s grand opening for the general public will be on January 16, 2019. 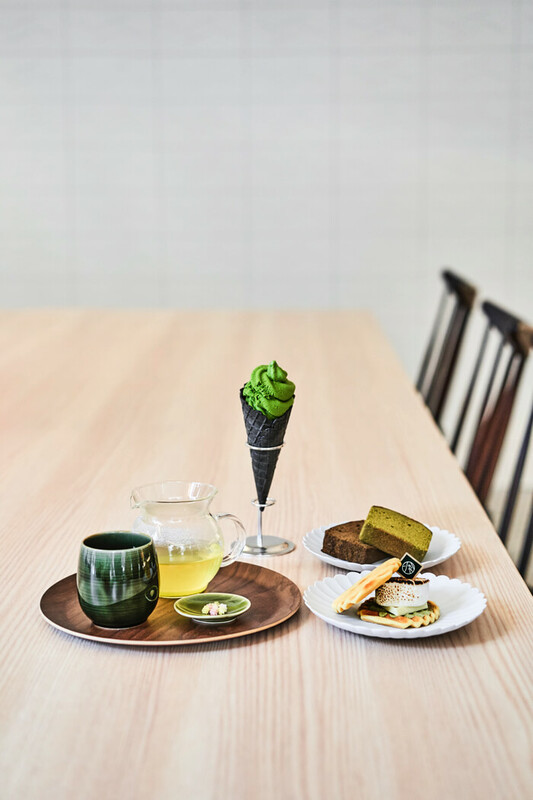 The menu includes a range of healthy soups, side dishes made using Japanese green teas like matcha and houjicha, otsumami at nighttime and more. Side dishes start at an affordable price of ¥120 each. 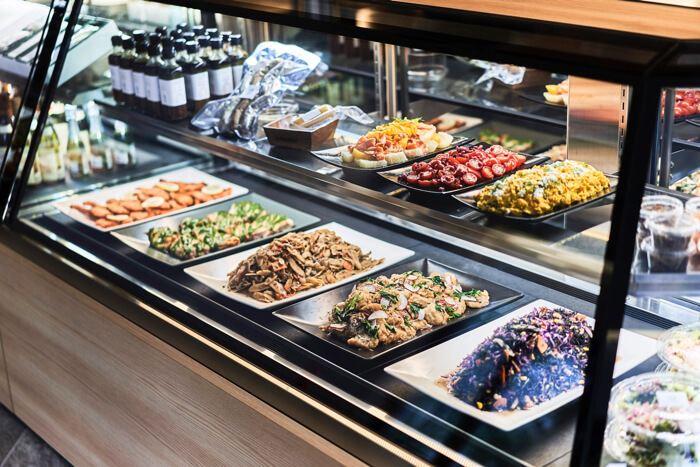 Items on the deli menu can also be ordered for takeout. If you’re looking to enjoy the quaint beauty of Japanese tea while staying in Japan then look no further than Hotel 1899 Tokyo.